One man operation. Reversible. Easy to set up and use. 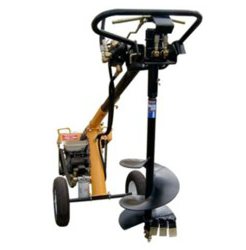 Engine balances the auger. Relief valve stall protection. Unit extends and retracts for ease of transport and storage. Large wheels. Auger locks in position. 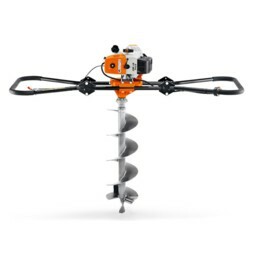 Auger adaptor as standard. Hydraulic power. No belts, chains or gearboxes to break. Safe to use as the relief valve cuts in when hitting an immovable object, rather than spinning the operator around. 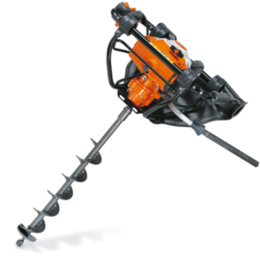 Auger reverse enables the operator to screw the auger out of clay or from under tree roots or cables rather than having to turn the whole machine or manually dig out the auger in a confined space.